With both Nepal and UAE winning one match apiece, the third and final ODI set to be held in Dubai holds a lot of importance. While UAE were able to scoot to a narrow victory in the first ODI, Nepal bounced back emphatically as they strode to a massive 145 run victory over the opponents on the back of Sompal Kami and Sandeep Lamichhane's exhibition of quality bowling. With both teams evenly matched, the stage is set for a great match between two nations who are looking to make a mark among the cricketing fraternity. After a very sorry performance from their batsmen in the second ODI, UAE might ponder a few changes in their batting line up to combat Sandeep Lamichhane and Paras Khadka. Chirag Suri and Shaiman Anwar need to step up and assert themselves into the proceedings if they are to come out of the match with a win. The bowling looks settled with Imran Haider and Amir Hayat performing well in both games. Zahoor Khan should keep his place after a decent performance with the ball. Possible XI: Suri, Ashfaq, Shabber(WK), Anwar, Rizwan, Usman, Nawaz/Boota, Hayat, Naveed(C), Haider and Zahoor Khan. After a dominant display on Saturday, Nepal are almost certain to play the same side that won them the game. Sandeep Lamichhane and Sompal Kami took nine wickets between them and will again be key to Nepal's fortunes. Paras Khadka and Dipendra Airee need to score more runs. Possible XI: Malla, Bhandari(WK), Khadka(C), Airee, Rohit, Sheikh, Sarraf, Karan, Kami, Lamichhane, and Rajbanshi. Wicket-keeper: Though there is not a lot to separate the keepers in terms of runs, Ghulam Shabber can be preferred over his Nepali counterpart. Batsmen: Chirag Suri is yet to come good and a player of his quality cannot be kept down for long. Suri along with Malla and Rohit Kumar Paudel are very good selections. Ashfaq Ahmed was quite good with the ball although his batting left fantasy players asking for more. He should be a handy pick in your fantasy team. All-rounders: Paras Khadka is the most dependable player in the Nepal team and should be in the fantasy teams for this contest. After a man of the match performance in the previous match, Sompal Kami is also another player to have in the fantasy team. Bowlers: Mohammed Naveed, Sandeep Lamichhane, Imran Haider and KC Karan are the ideal set of bowlers to go for. Lamichhane is one of the world's best leg-spinners right now which makes his inclusion a no-brainer while Mohammed Naveed is a proven performer for UAE. Amir Hayat could also slot in for either of the four. Captain: Paras Khadka and Sandeep Lamichhane are the front-runners to assume the mantle of captaincy with their ability to influence a match well documented in everyone's mind. Other options include Chirag Suri and Ghulam Shabber who have been great in the recent past for UAE. 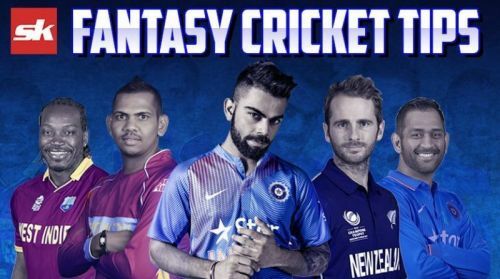 Fantasy Suggestion #1: Ghulam Shabber (WK), Chirag Suri, Ashfaq Ahmed, Rohit Kumar, Gynanendra Malla, Paras Khadka, Sompal Kami, Sandeep Lamichhane, Mohammed Naveed, KC Karan and Imran Haider. Captain: Paras Khadka. Fantasy Suggestion #2: Ghulam Shabber (WK), Shaiman Anwar, Ashfaq Ahmed, Gynanendra Malla, Paras Khadka, Dipendra Singh, Sompal Kami, Sandeep Lamichhane, Lalit Rajshahi, Imran Haider and Amir Hayat. Captain: Sandeep Lamichhane.